With the the Fall' 16 shows coming to a close Milan, these French ladies really know how to take a basic item such as a denim jacket and wear it in a fresh way. 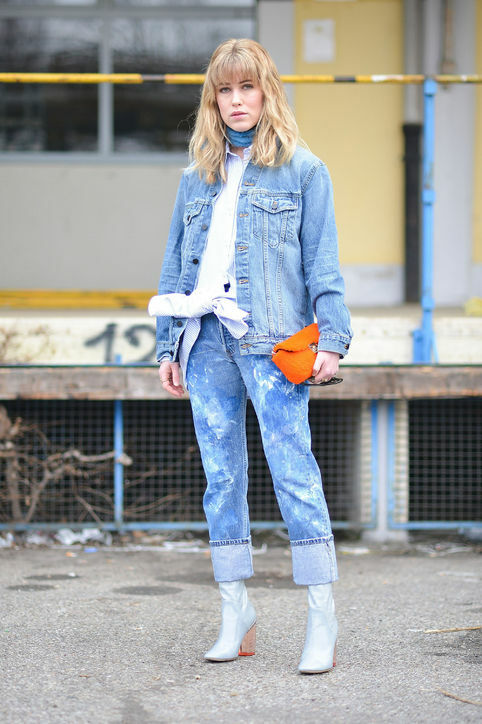 Here are a few fabulous ladies in the streets of Milan during Fashion Week rocking different variations of a denim jacket. Below are some denim jackets if want put your own spin on it.